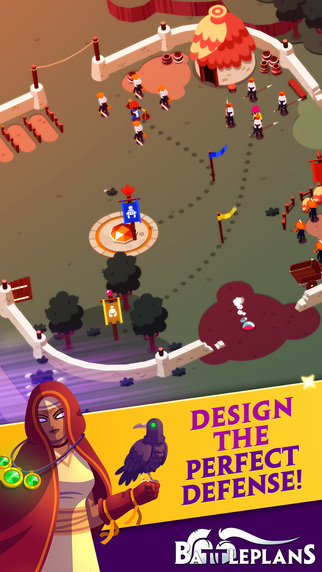 Battleplans is a free to play mobile RTS developed by C4M for iOS and Android. The evil Skulls and their leader, the Skull King, are trying to take the island kingdom for themselves. 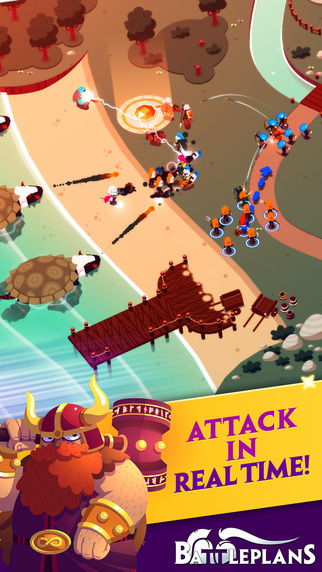 Only you can stop the Skulls by gathering any resources available, building up a reserve of troops, and going after them head on. However, the Skull King has an ace up his sleeve. 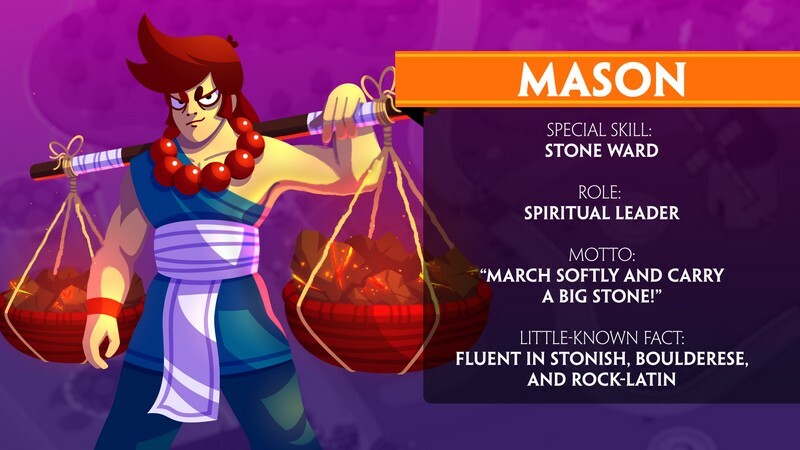 His evil minion called the Soul Titan should not be taken lightly, but with enough determination you can reclaim the island kingdom from the Skulls and restore peace to the land one again. 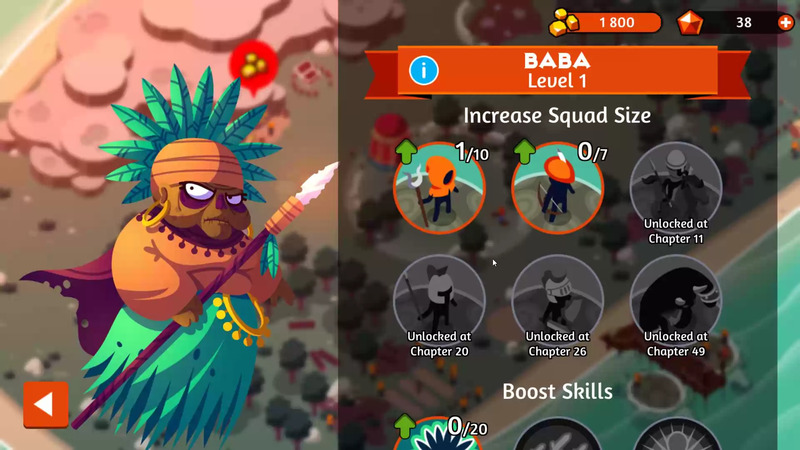 Squad Tactics: Manage and control different types of squads consisting of heroes and units of your choice. Find the most effective combinations that can make quick work of your enemies. 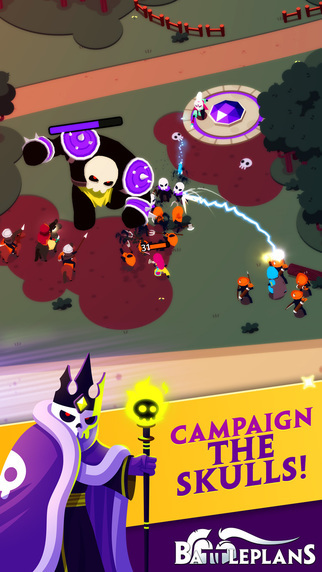 Campaign: Reclaim the lost parts of the island kingdom and bring down the evil Skulls in Campaign mode. 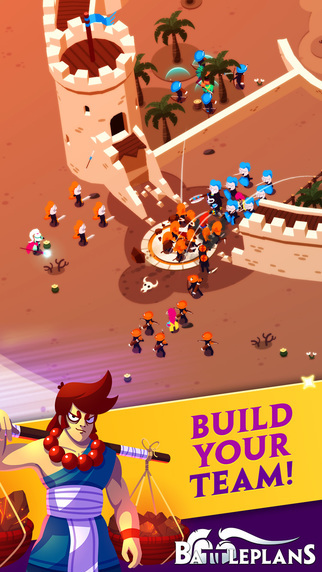 Wars: Participate in a series of wars where you will fight against other players to claim the most territories that have been freed up from the Skulls' grasps. Wars will allow you to earn victory points and climb through the ranked leaderboards. 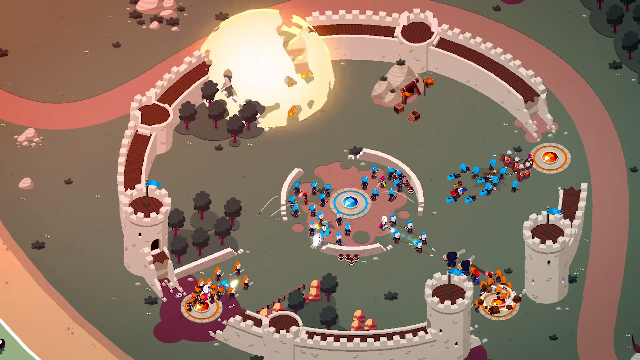 Defense Building: Predict invaders' movements and build defenses to thwart their efforts. Can you make your territories impenetrable? The first official gameplay trailer for Battleplans, a new mobile real-time strategy game for iOS and Android. 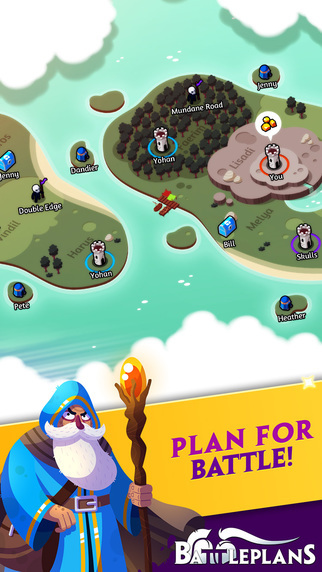 Battleplans First Impressions: Can Mobile Games Survive on PC?